There are thousands of piano sheet music on the internet. Whether you are a beginner, intermediate or an advance student there is a category for you. So if you are a piano player searching for sheet music online, then I don’t think that you will have any major problems locating a piece of your choice. 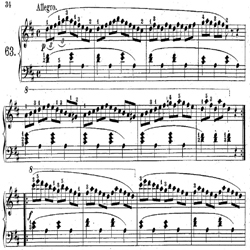 Sheet music can be described as a printed form of musical notation along with other graphic musical symbols. A music sheet or score is used to represent the music we hear in a written form for us to interpret. So before you take up the task of playing any piano sheet music, make sure you are able to read music. Visit our lesson on how to read music. It’s just a click away. Why should I have any interest in piano sheet music when I can learn to play the same song by ear? This is one question that is frequently asked by several piano or keyboard players. But all piano players whether they are at the beginner, intermediate or advance level should consider the benefits of learning to read music. Here are some major benefits! - When you are able to read sheet music you will be more aware of all the musical terminologies and signs that are included in music theory. You will also know how to apply the content learnt to your playing. - You will become a more rounded piano player making way for more opportunities to enhance your career in music. In other words, you will have the advantage of been able to play at events that require you to play using sheet music and other settings for ear playing. Ludwig Van Beethoven, Franz Liszt, Joseph Haydn, Wolfgang Mozart among other great piano players and composers all learnt to read sheet music. So please be encouraged to take on the task without any intention of quitting. There are many websites online that sells music sheets or scores that are written specifically for the piano. Let’s take a look at some of these websites. The first website I recommend visiting is sheetmusicplus.com. Sheet Music Plus has been online since 1997. This website has sheet music available from every genre. Sheet Music Plus sells thousands of musical scores at reasonable price and is rated by many as the number one online sheet music store. Another website you need to visit for piano music sheets is 8notes.com. This website has been on the internet since 2001 and offers a wide variety of sheet music for piano players at all levels. Individuals who join this website also have the opportunity of viewing and printing free sheet music. Pianostreet.com is also a great website with lots of piano music scores. On this website you will find a great collection of music materials from as far as the 18th and 19th century. You can also visit amazon.com an online store that sells a variety of musical materials and resources. Leave piano sheet music page and return to home page. I promise to use it only to send you Choose Piano Lessons. 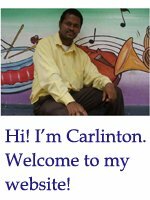 Connect with Carlinton on Google Plus!